The Cashless Debit Card Symposium was held at both the University of Melbourne and the Alfred Deakin Institute on Thursday, the 1st of February 2018. The Symposium attracted attendees from a range of backgrounds, including card-holders, representatives from community organisations, academics based at a number of Australian universities, Labor and Greens senators, and various other interested parties. A mix of presentations and panel discussions generated productive conversations around issues including the experience of being subject to the Cashless Debit Card (CDC), settler-colonial relations and the CDC, a rights-based perspective on income management, the consumer and banking implications of the CDC, income management and the social determinants of health, and perspectives on moving beyond current framings of welfare in Australia. Additionally, the Symposium featured a panel discussion on behavioural approaches in policy making. This is the first of several blogs that the Power to Persuade will publish based on the papers presented on the day. We kick off with an overview by Elise Klein, the organiser of the Symposium and a leading researcher into its harmful effects on communities and individuals. This paper is drawn in part from an article that ran in The Conversation; you can read it in its original form here. Last month, the Federal Parliament of Australia extended the trials of the Cashless Debit Card (CDC) in the East Kimberley and Ceduna. This legislation also has the provision to introduce a third site to the trial, most likely Kalgoorlie Boulder in WA. Why another trial was necessary is a mystery. In 2014 the government commissioned a comprehensive multi-year independent Evaluation into New Income Management in the Northern Territory. This review was conducted by leading academics from some of Australia’s top universities and provided conclusive evidence that compulsory income management regime in the Northern Territory did not make a significant difference. 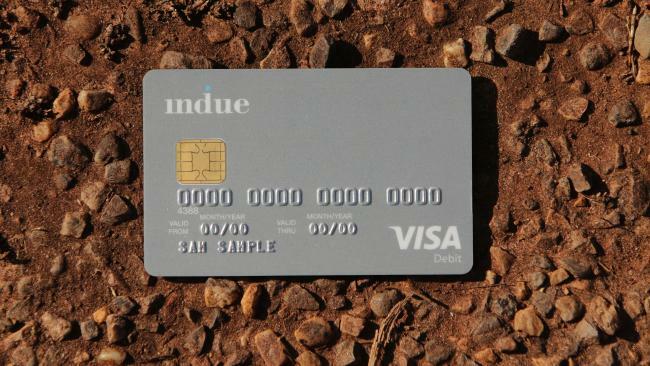 Despite the evidence showing that income management does not meet its objectives despite the over AU$1 billion spent on it, Andrew Forrest’s Review of Aboriginal Training and Employment still recommended what he called the ‘Healthy Welfare Card’. The Cashless Debit Card is being forced on communities despite mounting evidence that its presence is destructive. Photo credit: The Australian. The trials for the Cashless Debit Card began in early 2016 in both Ceduna (South Australia) and the East Kimberley (Western Australia). The card quarantines 80% of social security payments received by all working-age people (15–64 years) in the trial sites, attempting to restrict cash and by extension purchases of alcohol, illegal drugs and gambling products. The Card compulsorily includes people receiving disability, parenting, carers, unemployed and youth allowance payments. People on the aged pension, on a veteran’s payment or earning a wage are not compulsorily included in the trial but can volunteer to take part. The trial has increased hardship in people's lives, not only because of the disorganised and ill-conceived implementation of the experiment, but also because of the very design of the trial. People are being compulsorily included because there is an assumption that they engage in problematic behaviours such as the overconsumption of alcohol, gambling or use illegal drugs. The reality is that most people forced onto the card instead struggle with poverty compounded by a number of factors, including trying to survive in remote circumstances with chronically precarious employment prospects. Being put on the card has made people’s lives harder because limiting cash restricts people’s ability to undertake simple day-to-day activities to help their family’s wellbeing – including purchasing second-hand goods, paying for transport and buying gifts. This hardship is reflected in the ORIMA final evaluation, where 32% said that their lives were worse since being on the card and only 23% said that their lives were better. Further, 48% of participants on the card reported that the card does not help them look after their children better. These adverse impacts are concerning as recently completed research published by the Life Course Centre (an ARC Centre of Excellence), examining income management programs in the Northern Territory, actually shows causation with negative impacts on children, including a reduction in birth weight and school attendance. The researchers suggest several possible explanations for the reduction of birth weight, including how income management has increased stress on mothers, disrupted existing financial arrangements within the household, and created confusion regarding how to access funds. Getting the assumptions wrong has been dangerous, pushing already vulnerable people into even more vulnerable situations. Medical specialists have raised concerns with the CDC being used to treat addiction. The $1.6 million in funding for ‘wrap around services’ have not been provided in a timely fashion. Both crime and domestic assaults increased under the card in the East Kimberly. Superintendent Allan Adams of the Kimberley Police Force told the Senate Inquiry that in the 12 months to 30 June 2016, there were 319 domestic assaults in Kununurra, but in the 12 months to 30 June 2017 (and the time of the trial), this figure had increased to 508 - a rise of nearly 60%. The evidence the Government has relied on is flawed. The ORIMA interim and final evaluations were both used as a key plank in the ‘evidence’ used by the government to justify trial extensions. Both evaluations have been severely criticised as being methodologically and analytically flawed (see also here); from the way interviews were conducted, to having no base line to test government claims of success, through to an over-emphasis on anecdotal improvements and discarding important issues such as the increase in crime and domestic violence. Claims of community representation and consultation. The decision to implement the Card was not a community decision that represents the region’s diverse interests or population. Some people have more say than others. For example, the Miriuwung Gajerrong Corporation noted that, although the ‘Department of Social Services (DSS) states that the Cashless Debit Card program was co-designed with local leaders in Kununurra ... in reality, only four local leaders were consulted in relation to the introduction of the CDC in Kununurra’. Consultations themselves have not been about co-design, but have been tokenistic in order to convince people to support the card. Even if a few people support the card, we must ask at what cost? Many more have suffered material and emotional hardship, the community has been fractured through such a heavy-handed intervention, and the $25 million spend on the trial has demonstrated no credible evidence of sufficient benefit to justify ongoing rollout. That the Cashless Debit Card continues to be pursued by government and corporate elites exposes its dogged obsession with implementing neo-colonial and punitive policy for some economic and political gain at the expense of vulnerable people.